Professor at Columbia Business School & author of The Digital Transformation Playbook on how to rethink any traditional business for the digital age. Every business begun before the Internet now faces the same challenge: How to transform to compete in a digital economy? 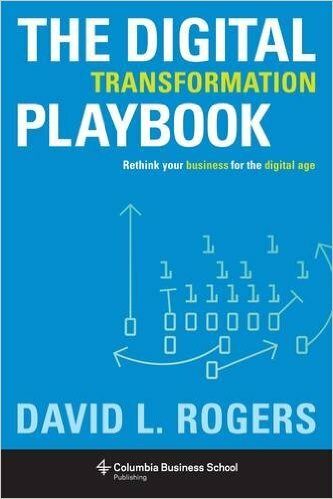 In his new book, globally-recognized digital expert David Rogers argues that digital transformation is not about technology—it’s about upgrading your strategic thinking. 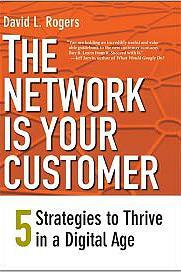 Drawing on case studies from Walmart to Disney, and Domino’s Pizza to The New York Times, Rogers shows how traditional businesses need to rethink their approach to strategy in five domains—customers, competition, data, innovation, and value. In The Digital Transformation Playbook, he provides a practical framework to help you rethink your own business—to unlock growth in the digital age. The future of every industry will be shaped by the rise of artificial intelligence. But the true story of A.I.’s impact is not yet understood by most business leaders. 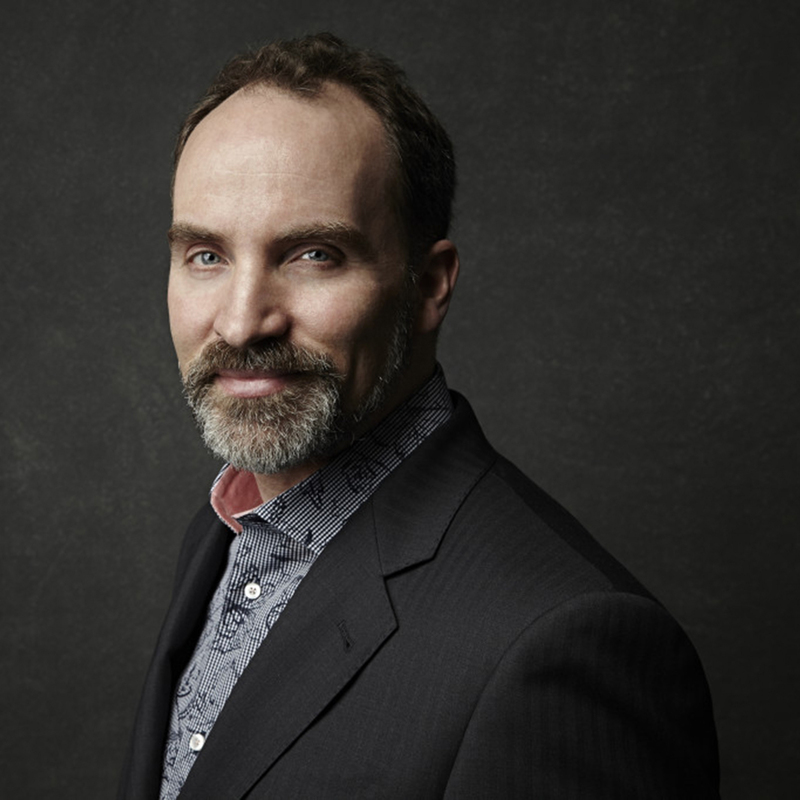 Globally-renown digital strategist and best-selling author David Rogers untangles the nest of acronyms and hype surrounding A.I., to explain how it is already transforming business from healthcare to media, retail to financial services, and even law. With real-world case studies like Amazon, Ford Motors, and the New York Times, Rogers ties the power of A.I. to the power of human pattern recognition. He uncovers the gravest challenges that A.I. poses for both business and society. And he identifies who will be the likely winners and losers in a world where A.I. touches everything. In a world of social networks, mobile computing, and billions of smart sensors, we are now awash in data. New tools to harness data are powering self-driving cars, lifecasting athletes, and real-time flu-tracking. For businesses, big data poses new challenges, and demands new kinds of leadership. But for those who can master it, data will offer incredible sources of innovation and customer insight, and provide the answers to some of marketing's most vexing questions. David Rogers, a professor at Columbia Business School, is a globally-recognized leader on digital business strategy, known for his pioneering work on customer networks and digital transformation. He is author of four books, including The Network Is Your Customer, and his bestselling book, The Digital Transformation Playbook: Rethink Your Business for the Digital Age, published in 6 languages. Rogers delivers keynotes at conferences worldwide on digital transformation, digital leadership, and the impact of emerging technologies on business. Rogers has consulted and developed custom executive programs for global companies such as Google, Unilever, GE, Toyota, HSBC, Visa, Acuity Insurance, Pizza Hut, Hard Rock Café, Cartier, Pernod Ricard, SAP, Cisco, Telstra, Merck, Lilly, China Eastern Airlines, Kohler, Saint‐Gobain, MacMillan, Hearst, and many others. He has delivered strategic workshops for executives in hundreds of companies from 66 countries. He has appeared on CNN, ABC News, CNBC, Marketplace, Channel News Asia, and in The New York Times, The Wall Street Journal, The Financial Times, Forbes, and The Economist. He received the 2009 Award for Brand Leadership at the World Brand Congress, was a board member of The Marketing Hall of Fame™, and is Past President of the American Marketing Association New York. At Columbia Business School, David teaches global executives as faculty director of Executive Education programs on Digital Business Strategy, Digital Business Leadership (with modules in New York, online, and Silicon Valley) and the Google-Columbia CMO Academy. David’s recent research has focused on digital transformation, big data, the Internet of Things, in‐store mobile shoppers, and customer data sharing. David is the founder of Columbia’s acclaimed BRITE conference (now in its 11th year), where global CEOs and CMOs come together with leading technology firms, media companies, and entrepreneurs, to address the challenges of building strong brands in the digital age.